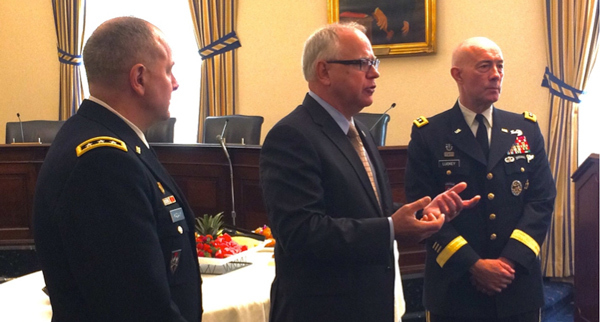 ROA was invited to a 24 October special invitation-only “rollout” breakfast on the Army National Guard’s 4.0 program with the U.S. House of Representative’s Guard and Reserve Caucus in the Cannon House Office Building. 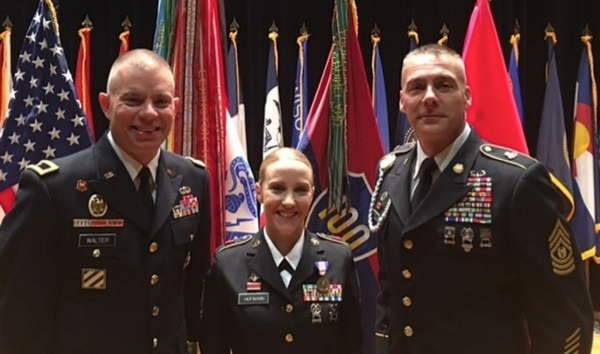 Lt. Gen. Timothy J. Kadavy (Director of the Army National Guard) and Lt. Gen. Charles D. Luckey (Chief of Army Reserve) together briefed this new important “evolutionary leap” for citizen-soldiers. 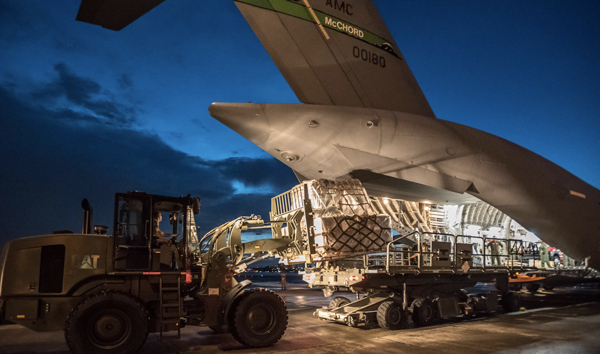 125 Soldiers of the New York Army National Guard's 152nd Engineer Support Company headed for Puerto Rico from the air base on Oct. 18-19, the latest installment in the New York National Guard's support to the island. The Buffalo, N.Y. based engineers are prepared to conduct debris removal, clear roads, and get lines of communication open, according to Capt. Nathan Attard, the company command. 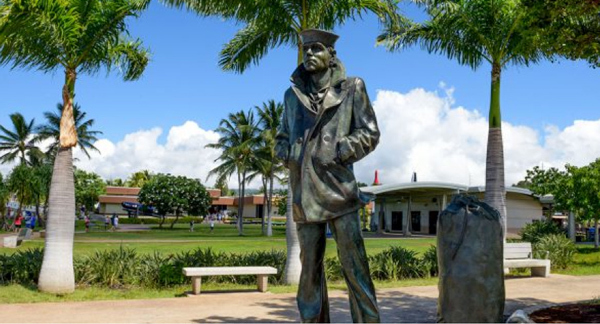 The U.S. Navy Memorial unveiled the construction of a lone sailor statue at Pearl Harbor in Hawaii. The statue will be installed at the WWII Valor in the Pacific National Monument, standing watch over the USS Arizona memorial. 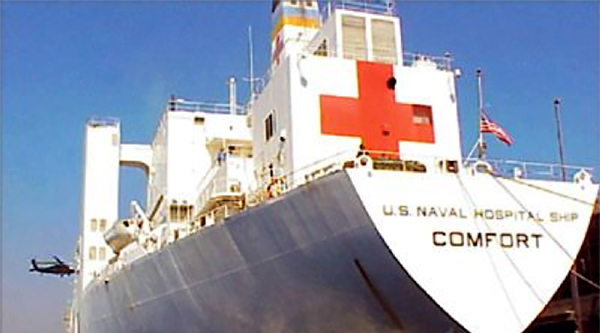 More than 750 Navy Medicine personnel embarked on the USNS Comfort to support the United States military response to hurricane relief efforts in Puerto Rico. Navy Reserve Physicians, nurses, and hospital corpsmen stepped up to help in the relief, and an additional 30 reservists are arriving later in the week. 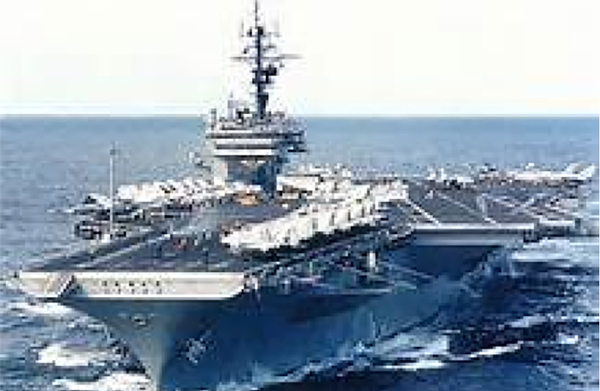 The USS Kitty Hawk, an iconic mothball ship, will be dismantled to be disposed of. In the FY17 budget plans outlined by Congress, the Kitty Hawk was among one of the Navy’s inactive ships that was slated for scrapping. The Navy has not released any information about when the dismantling is to take place and what company will be awarded the contract. The Kitty Hawk was decommissioned in 2009 after 48 years of active service. It has been held in reserve status at the Inactive Ship Maintenance Facility in Bremerton, Washington ever since. During its active service days, the Kitty Hawk participated in combat operations in Southeast Asia during the Vietnam War and in the Arabian Sea during Operation Enduring Freedom and Operation Iraqi Freedom. It was the fleet’s only permanently forward-deployed carrier in Yokosuka, Japan, from 1998 to 2008. 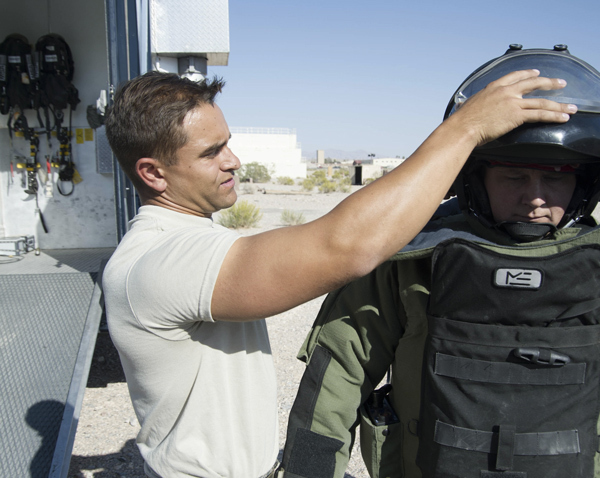 U.S. Military Reservists often have to travel great distances to serve, and in most cases, have to spend their drill pay for traveling expenses. Now, the Department of Defense is considering reducing the expenses of these Reservists by as much as two-thirds as the Department considers changes to the Reserve travel policy as a retention tool. 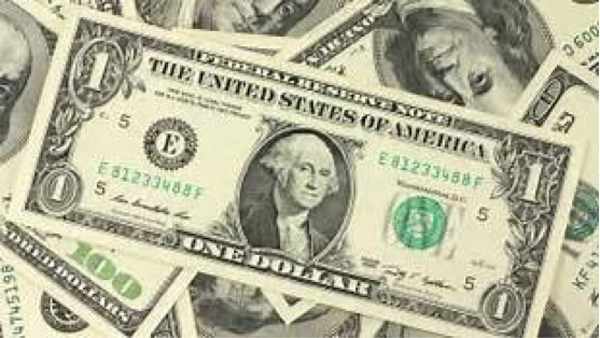 Despite the concern from the Department about these increasing expenses, a report released by the Government Accountability Office says the Pentagon needs more data before it can implement changes. Currently, there are three TRICARE regions in the U.S.: North, South and West. The North and South regions will combine on Jan. 1, 2018 to form TRICARE East, while TRICARE West will remain mostly unchanged. 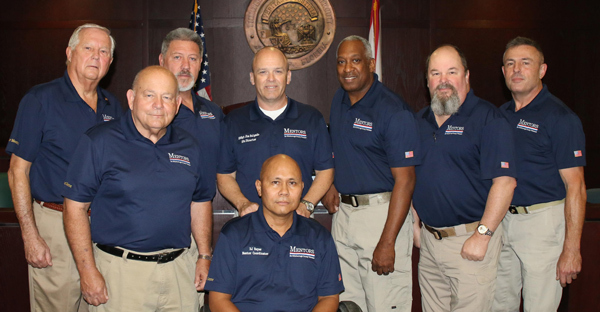 Two new contractors, Humana Military and Health Net Federal Services, LLC, will administer these regions. This change will allow better coordination between the military hospitals and clinics and the civilian health care providers in each region. On Jan. 1, 2018, TRICARE Select will replace TRICARE Standard and TRICARE Extra both stateside and overseas. Stateside, TRICARE Select will be a self-managed, preferred provider network option. You will not be required to have a primary care manager (PCM) and therefore you can visit any TRICARE-authorized provider for services covered by TRICARE without a referral. If you live overseas, TRICARE Overseas Program Select will be a preferred provider organization-styled plan that provides access to both network and non-network TRICARE-authorized providers for medically necessary TRICARE covered services. TRICARE Select adopts a number of improvements, including additional preventive care services previously only offered to TRICARE Prime beneficiaries. TRICARE Prime is a managed care program option. An assigned PCM provides most of your care. When you need specialty care, your PCM will refer you to a specialist. Active duty service members and their family members do not pay anything when referred to a network provider by their PCM. 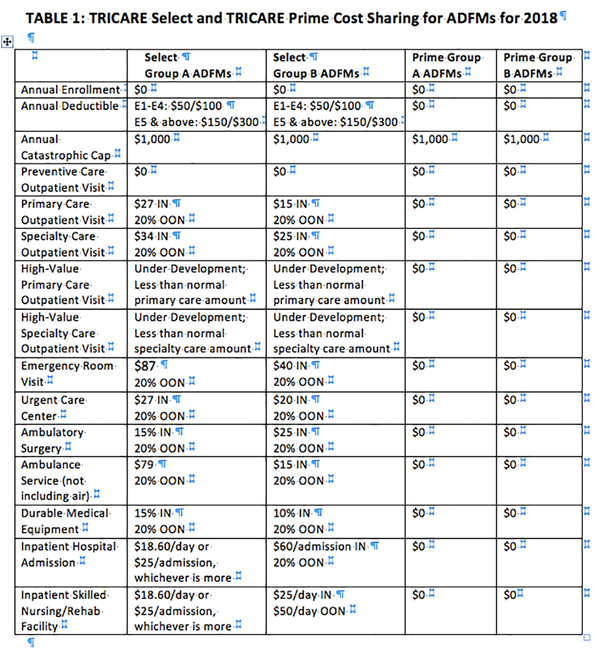 All others pay annual enrollment fees and network copayments. All current TRICARE beneficiaries will transition to their respective TRICARE plan on Jan. 1, 2018 as long as they are eligible. 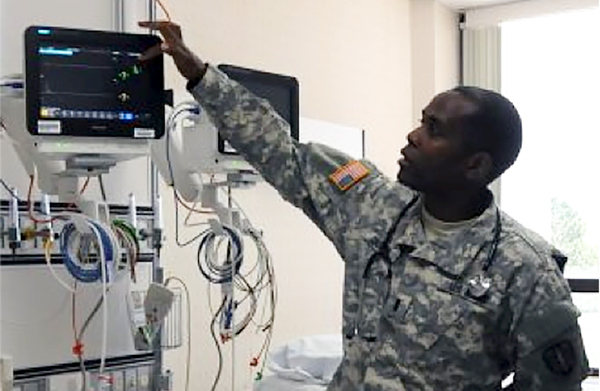 TRICARE Prime enrollees will remain in TRICARE Prime. TRICARE Standard and TRICARE Extra beneficiaries will be enrolled in TRICARE Select. During 2018, you can continue to choose to enroll in or change coverage plans. In fall 2018, TRICARE will introduce an annual open enrollment period. During this period, you will choose whether to continue or change your coverage for the following year. Each year, the open enrollment period will begin on the Monday of the second full week in November and run through the Monday of the second full week in December.